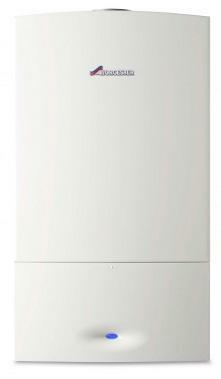 Launched in June 2013 the Worcester Bosch Greenstar 30Si Compact is the big brother of the 25Si combi boiler. Despite being able to deliver a flow rate of 12.3 litres per minute its compact size (it measures 68x39x28 cm) means you can install it behind a standard sized kitchen cupboard. The hot water output would supply enough hot water for homes with one bathroom but would be poor choices for properties with multiple bathrooms. With a SEDBUK 2009 efficiency rating of 94% the Greenstar 30 Si is more efficient that the old Si range and can be used with a wide range of optional mechanical digital and wireless programmers. You can control the Hot water and heating separately allowing the flexibility to save money by reducing the temperature of one or both but you will need extra controls (like a room thermostat and thermostatic radiator valves) to get the most efficient set up.